Amsterdam, the Netherlands – Elekta (NSE: EKTAb) and Royal Philips Electronics (NYSE: PHG, AEX: PHIA) announced today that The Netherlands Cancer Institute-Antoni van Leeuwenhoek Hospital (NKI-AVL, Amsterdam, the Netherlands) has signed an agreement to join a research group to advance the development of ground-breaking image-guided treatment technology for cancer care. 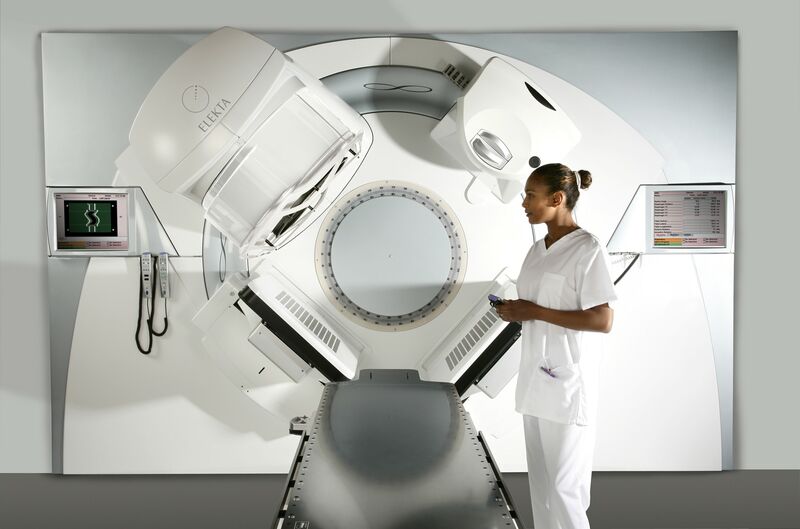 The technology merges radiation therapy and magnetic resonance imaging (MRI) technology in a single system. NKI-AVL is the third member of the research consortium, which will comprise leading radiation oncology centers and clinicians, and already includes the University Medical Center Utrecht and The University of Texas MD Anderson Cancer Center. Uniting state-of-the-art MRI with a cutting edge radiation therapy system – thus creating an MRI-guided radiation therapy system* – will provide physicians with exceptional images of a patient’s soft tissues and tumor during radiation therapy. This breakthrough innovation also aims to permit clinicians to adapt treatment delivery in real time for the most precise cancer treatments possible. 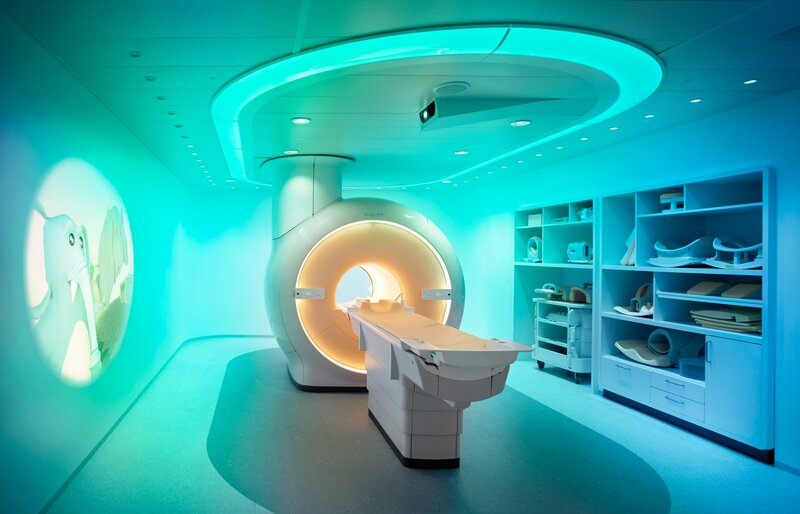 Prior to the establishment of the research consortium, Elekta, Philips and the University Medical Center Utrecht built and tested a prototype system that integrates a linear accelerator and a 1.5 Tesla MRI system. The success of these efforts enabled the project to move to the next phase of development and testing by the growing select group of consortium partners. Radiation therapy and medical imaging already play an essential role in treatment planning, delivery and after care, and are proven, cost-effective and safe methods for the treatment of individuals with cancer. Radiotherapy is a critical modality for cancer treatment, either as a frontline treatment or used with other modalities, such as chemotherapy. The procedure involves identifying cancerous tissue and irradiating it with high-energy radiation beams in a way that maximizes sparing of healthy tissues near the tumor. *The integrated MRI-guided radiation therapy system is in development and not available for sale. Royal Philips Electronics (NYSE: PHG, AEX: PHIA) is a diversified health and well-being company, focused on improving people’s lives through meaningful innovation in the areas of Healthcare, Consumer Lifestyle and Lighting. Headquartered in the Netherlands, Philips posted 2012 sales of EUR 24.8 billion and employs approximately 118,000 employees with sales and services in more than 100 countries. The company is a leader in cardiac care, acute care and home healthcare, energy efficient lighting solutions and new lighting applications, as well as male shaving and grooming, and oral healthcare. News from Philips is located at www.philips.com/newscenter. Elekta is a human care company pioneering significant innovations and clinical solutions for treating cancer and brain disorders. The company develops sophisticated, state-of-the-art tools and treatment planning systems for radiation therapy, radiosurgery and brachytherapy, as well as workflow enhancing software systems across the spectrum of cancer care. Stretching the boundaries of science and technology, providing intelligent and resource-efficient solutions that offer confidence to both healthcare providers and patients, Elekta aims to improve, prolong and even save patient lives. Today, Elekta solutions in oncology and neurosurgery are used in over 6,000 hospitals worldwide. Elekta employs around 3,400 employees globally. The corporate headquarters is located in Stockholm, Sweden, and the company is listed on the Nordic Exchange under the ticker EKTAb. Website: www.elekta.com.